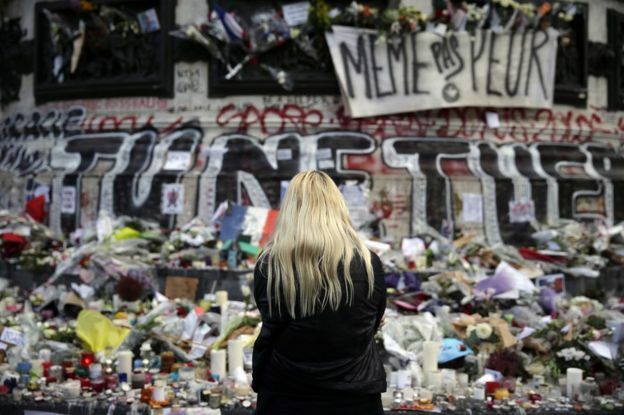 How vulnerable is Europe to Paris-style attacks? Still catching up after a busy week. This a short piece for the BBC on how vulnerable Europe is to attacks like that we saw last Friday. The point here is not to say it is impossible, but to try to keep things in perspective. The cancellation of the football match in Hannover on Tuesday night was the latest expression of a terrorist fear that currently wracks Europe. Coming after a long month in which major attacks were seen in Egypt’s Sinai peninsula, Beirut, Baghdad, Ankara and Paris, the febrile environment has generated an understandable level of concern among people in major cities across Europe. Yet, the reality is that people face a greater daily danger from using their cars than they do from falling foul of terrorist plots in a European capital. While the current environment is of heightened concern given attempts by Islamic State (IS) and its affiliates to massacre innocents, the reality is that plots on the scale of Paris are a rarity. In response, European security agencies will step up their already highly vigilant posture and move to disrupt networks at increasingly earlier stages. Terrorism in European capitals is not unheard of. Since the attacks of 11 September 2001 in Washington and New York, there have been large-scale atrocities in Madrid, London, Moscow, Oslo and now Paris. Yet, these events are outside the usual norm. In contrast, cities in Africa, parts of Asia and the Middle East face such attacks on a more regular basis. Plots in the West are often disrupted – especially large-scale ones involving big networks of individuals. 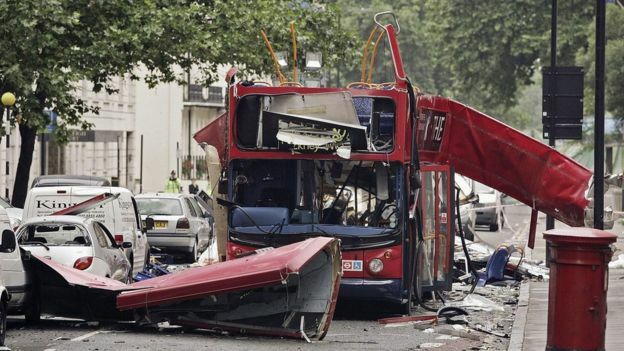 While the 7 July 2005 bombers succeeded in killing 52 people in London, at least four or five other large-scale plots with links to al-Qaeda which aimed to strike the UK between 2004 and 2006 were disrupted by authorities. More recently, concerns had focused around the phenomenon of “lone actor” terrorism – acts undertaken by individuals who did not demonstrate any clear direction from a terrorist group or network. Sometimes the individuals proved to be part of a known radical community, but in other cases they were unknowns who had driven themselves towards terrorist activity. And yet, while numerous such cases were disrupted, only three people were able to murder fellow citizens – Pavlo Lapshyn stabbed Mohammed Saleem to death in Birmingham, while Michael Adebowale and Michael Adebolajo murdered Lee Rigby in Woolwich. In most other cases, the individuals were only able to injure themselves in their attempted attacks. IS had noticed this phenomenon and one of the major concerns of the past few months has been the ability of individuals in the group to inspire and instigate people in the West to launch such isolated attacks. France had faced a number of these, including a spate of attempted murders around Christmas last year. From the authorities’ perspectives, plots are inherently harder to disrupt, given the individuals’ lack of connections and links to known networks, meaning intelligence tripwires were harder to identify. Yet at the same time, these plots also tend to be less menacing in their ability to cause mass murder. 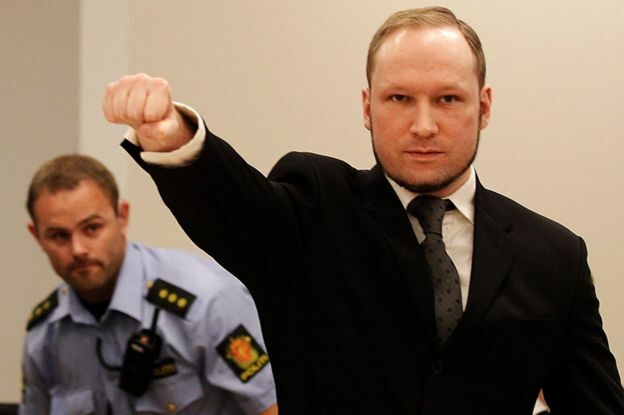 Anders Behring Breivik was an exception to this, but he remains unique in his attacks in Norway in 2011 that left 77 people dead. In most cases, the individuals are only able to attempt to murder one or two in their immediate periphery. Clearly, recent events in continental Europe show that the current threat picture there is more heightened than this, but plots on the scale of the slaughter in Paris remain a rarity. 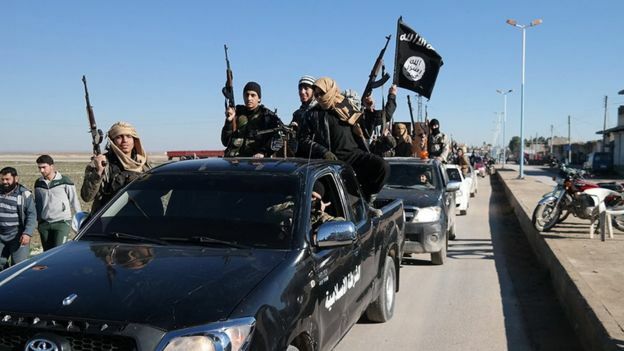 While IS is clearly a terrorist organisation that has shifted its attention from state building in its core in the sands of the Levant to causing mass murder globally, the degree to which the group is able to get such large-scale plots through European security nets remains unclear. 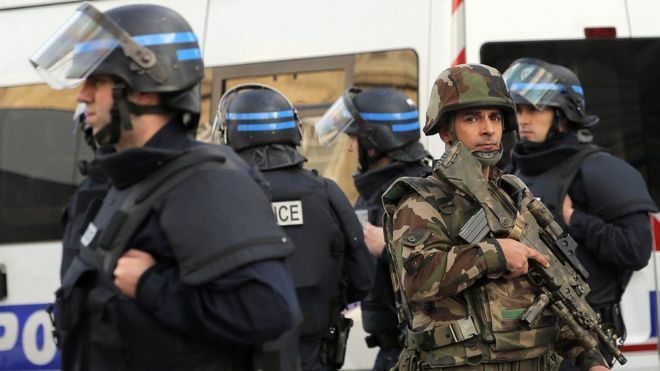 In the wake of the atrocities in Paris, it will become even harder for the group as authorities move to disrupt plots earlier rather than let something like this reoccur. At the same time, the current threat picture is complicated – with hundreds of Europeans and others fighting alongside IS having absorbed the groups ideology. It is unclear how many more plotters will need to be stopped and for how long Europe will face this menace. A new piece off the book ahead of what is likely to be a busy week in this regard, looking at the concept of the ‘Suburban Terrorist’ for the Sunday Telegraph. There are a few other pieces around the book that are going to be emerging this week as we hit the ten year anniversary of the sad events of July 7, 2005. Some news articles have already started to emerge, including this interview I did with Sky News about Mohammed Siddique Khan’s under-explored visit to Israel. In other subjects, I spoke to AFP about China-Central Asia and Voice of America about the AIIB. The four 7/7 bombers are as seared in our memory as the photographs of the tangled mass of twisted metal and concrete that their trail of destruction left behind. But there is one often forgotten player who masterminded the attacks on the capital ten years ago this week. Rashid Rauf was the son of a Birmingham baker who progressed up the ranks of al Qaeda to become jihadi royalty. When the London bombings took place, he was in Pakistan, and it was from here that he co-ordinated the bombings and compiled a post-action report. “A few months after the operation, I saw a dream, which Sidique and Shehzad are sitting and smiling, looking very happy,” he wrote at the time. “Sidique” referred to 30-year-old Mohammed Sidique Khan, a married-father-of-one and teaching assistant from Dewsbury, West Yorkshire. “Shehzad” was 22-year-old sports science graduate Shehzad Tanweer, from nearby Beeston in Leeds. Between them, they had murdered 13 people after detonating suicide bombs on the Circle Line on a Thursday morning 10 years ago. The other explosives set off that day by their teenage accomplices, Germaine Lindsay and Hasib Hussain, ensured that 52 innocent lives were lost in total. 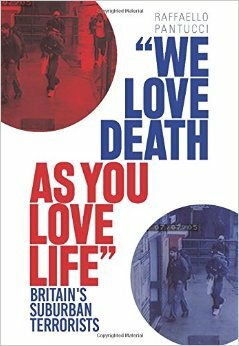 The attack was not just al Qaeda’s most successful ever on British soil, but also breathed vivid life into the concept of the homegrown terrorist, born and raised in town and city suburbs and beneficiaries of our schools and universities who suddenly turn murderously against the state. Rauf epitomises this story. A young Brummie born to a Pakistani family that had migrated to the UK, Rauf grew up in a terraced house in east Birmingham. He helped out at his father’s bakery during breaks at the local Washwood Heath High School, which itself achieved some notoriety in 1996 when a teacher leapt up after a carol singing shouting “Who is your God? Why are you saying Jesus and Jesus Christ? God is not your God – it is Allah!”. From there, he got a place at Portsmouth University. In 2002, Rauf fled the UK for Pakistan where he quickly rose up the ranks and became a conduit for al Qaeda attempting to draw in excitable young British men. By the time he was killed in a drone strike in 2008, he had moved into a senior role in al Qaeda and was married into a prominent jihadi family. A decade on from 7/7, the rise of the suburban mujahedeen has become an all-too familiar tale. Last month, 17-year-old Talha Asmal – who, like Sidique Khan, also hailed from Dewsbury – became the youngest suicide bomber Britain has ever produced. The former student at Mirfield Free Grammar and Sixth Form blew himself up in a car bomb in Iraq alongside three other jihadis in a coordinated Isil attack. His devastated parents have said he was the victim of the terrorist group’s perverse ideology; they had no idea he was being exploited to make the transition from “ordinary Yorkshire lad” to suicide bomber. A new wave of terrorism is building in the sands of Syria and Iraq that is already giving birth to the next generation of British terrorists. What ties them all together are their relatively ordinary backgrounds. They see little appeal in the middle-class lives they are headed for, and instead are being drawn to fight in god’s name in the great struggle of their age in the Levant. There are numerous motivations as to why so many young British men and women are being lured to jihad 10 years after the terrorist atrocity of 7/7. Some are drawn by religious ideology; long term activists and people interested in Islamic ideas who seize upon the end of days narrative which is being peddled by Isil propagandists. Others are attracted to the sheer excitement of participating in a foreign conflict. Then there is a redemptive value of the fight in Syria and Iraq, perceived by some troubled young Britons as a way of earning respect and shedding troubled pasts. When growing up in Britain, Rashid Rauf and a friend allegedly skirted on the fringes of the local gang community, ending up involved with the Aston Panthers. This is something one sees often among British jihadis, not least Thomas Evans, a 25-year-old from High Wycombe, Buckinghamshire, killed in Kenya last month while fighting for the terror group al-Shabaab. Evans floated around in local gangs, a petty criminal who re-invented himself as an international warrior for god. Richard Reid, who was jailed in 2001 after attempting to ignite a shoe bomb on American Airlines flight 63 from Paris to Miami, who grew up in the London suburb of Bromley and spent time in Feltham Young Offenders institution for petty crime. The 7/7 bomber Germaine Lindsay, who killed 26 on the Piccadilly Line, also came from a broken home and had dabbled in petty crime before focusing on religion. Others, however, just want to escape their banal, middle-class lives – and it is this which is so difficult for the authorities and families to predict. Glasgow teenager Aqsa Mahmood, who fled to join Isil in 2013, was privately educated and grew up in a happy, close-knit home. Mohammed Sidique Khan wanted to travel and ended up working at a desk job with a degree from a local university. Shehzad Tanweer had a nice car and enjoyed playing cricket. Samantha Lewthwaite, Lindsay’s wife and the so-called “White Widow”, was born to a military family in Aylesbury, Bucks. The decision to go and fight is a reaction against your environment. In many ways, it’s a reflection of young people trying to explore their identities. What has changed in recent years, as the recent recruitment of schoolboy Talha Asmal shows, is the power of online propaganda and connections to help recruit would be jihadists and persuade young Britons of their connection to the cause and others involved in it. On the internet you can have these multiple identities and completely fictitious online profiles which have no connection with real life. Shami Witness, who ran the most influential pro-Isil Twitter account before it was shut down last year, turned out to be an executive in Bangalore working for an Indian conglomerate. It is easy to reinvent yourself online. The other interesting aspect that persists is the sense of shared camaraderie that can be a strong lure for young men and women. The 7/7 bombers supposedly laughed and hugged at Kings Cross before embarking on their final, separate journeys. A close bond of friendship is also what motivated the teenage Bethnal Green Academy pupils Shamima Begum, Amira Abase and Kadiza Sultana to travel to Istanbul in February and on to Syria. In 2013, the Pompey Lads, the group of six jihadis from Portsmouth who travelled out to fight for Isil, discussed their upcoming trip as if preparing for any holiday away. Ten years on from 7/7, we are continuing to see young men and women drawn by extremist narratives to fight in foreign fields. At some point, it is possible they will return to launch attacks in the UK. The next generation of British suburban mujahedeen have yet to completely mature into threats like Rashid Rauf and Mohammed Siddique Khan, but it is likely only a matter of time before they do. A new piece as part of a Room for Debate conversation on the New York Times opinion pages. This one looking at the phenomenon of radicalisation in the west and how to counter it. Honoured to be in the company of friends and distinguished academics on the topic. The surge in attention around Brits in Syria and Iraq has led to a spike in media requests and conversations, including the New York Times, Economist, Voice of America, Los Angeles Times, AFP, and Press Association among others. I also spoke to Voice of America about the Shanghai Cooperation Organization counter-terror ‘Peace Mission’ exercise last week as well as USA Today about the China’s attempt to use the new Silk Road Economic Belt to ameliorate the situation in Xinjiang. British nationals (and many from other Western countries) have been a feature of jihadist battlefields for almost two decades. Some are drawn for idealistic reasons – going to fight for a cause, defend a people, or for some religious vision. Others go for more prosaic reasons, fleeing trouble at home, or seeking redemption for a criminal past. And yet others are simply young people at a juncture in their lives where the idea of going to run around a training camp and shooting guns seems quite appealing. Countering this complicated mix of motivations is difficult. Part of it is developing programs that give people alternatives in their lives. These are not dissimilar to programs to help dissuade people from being drawn to gang culture. Part of it is also countering the spread of ideas in communities. While the Internet and social media play a role in drawing people to think about Syria and Iraq and find ways of getting there, it is often through real-world interactions that they will meet individuals who help provide the push, contacts or motivations to actually go to fight. Communities need to reject such people, but in addition, alternative pillars within society need to be developed to provide voice to credible alternative narratives. A great deal of pressure is often put on communities within this context – the expectation is that they will somehow police themselves and this will resolve the problem. But at the same time, the reality is that sometimes people within communities simply do not know what they are dealing with. Families find themselves dealing with children or siblings who are becoming drawn to ideas, but it is difficult to know whether they are being drawn to dangerous ideas or simply going through a phase. A partial answer to this problem can be found in a program initially developed in Germany, now being introduced in Britain, where a special hotline is established within communities and provides people with a place to ask questions without having to resort to the authorities. Creating spaces in which people can ask about what they should do if a relation is starting to flirt with radical ideas, without actually having to report it to the police, offers a moment at which an intervention could be made. This is something that will be more appealing to people within communities who are fearful of destroying someone’s life by reporting something innocuous to the police. Ultimately, the phenomenon of young Britons (or Westerners more generally) being drawn to Syria and Iraq is not one that is going to be resolved overnight. There will ultimately be no longterm solution to this problem until the respective civil conflicts in Syria and Iraq are drawn to some definitive conclusion. This will involve creative diplomacy and bolstering of regional allies, as well as a recrafting of the current status quo across the broader Middle East. But until this happens, the battlefields will continue to be a draw to a certain community of young Westerners seeking adventure, meaning and ideals.